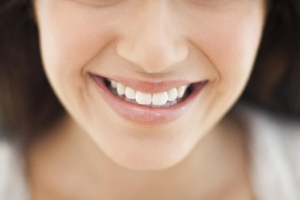 If you’re looking for a straighter smile to boost your confidence, you now have options. These days, many people opt for Invisalign over traditional metal braces. The expert team at Pearly Whites Dental Care, dentist serving Bucks County, is available to tell you more. In the meantime, check out these seven fantastic advantages Invisalign has over regular braces. 1. A better smile – faster! On average, traditional braces are worn for a period of approximately two to three years. However, some patients find themselves locked into braces for much longer. It’s different with Invisalign. A lot of patients require only one year to get maximum results. Even if you need to wear yours for 18 months, it’s still an incredible improvement, especially considering Invisalign is completely removable! Anyone who has dealt with wire braces vividly remembers the damage they did to the soft tissues inside of the mouth. They can create tiny, sometimes painful tears on the inside of cheeks and lips. Invisalign, on the other hand, is comprised of soft, flexible plastic trays that won’t poke, pinch, or cut. The only catch is that you must see an experienced, qualified dentist serving Bucks County to ensure an accurate fit. 3. You can eat what you like. Popcorn, candy, whole apples – even bagels. When you have standard braces, there’s a whole list of foods you’re not allowed to eat. Once you know you can’t have them, it will be all you crave. Invisalign doesn’t make you give up your favorite crunchy, chewy, or sticky foods. Simply pop out your Invisalign trays, eat what you like, clean your teeth, and pop the trays back in. 4. They don’t require as many office visits. Wire braces mean constant visits to the dentist or orthodontist for adjustments. Trust us, getting braces tightened isn’t an experience you have to go through! Your Invisalign comes with a complete set of trays. Just consult with Dr. Kasia to see how often you need to switch out your trays. That’s it! Your new, improved smile is right in your hands. 5. They’re less damaging to teeth. A lot of braces cases don’t result in any noticeable damage to the teeth – provided you clean them properly for the entire duration. All avenues of dental hygiene, from daily brushing and flossing, to in-office cleanings, are easy as can be with Invisalign’s removable trays. Speaking of cleaning your teeth with braces, you have to keep the braces themselves clean, too! The wire construction does not make this simple. With Invisalign, cleaning the trays is easy. Take them out and give them a soak, or wash with clear soap and a soft, gentle brushing. Don’t forget to ask your dentist serving Bucks County about the Invisalign cleaning crystals, either.